It’s been very cold here in Chicago this week. But even before this cold spell set in, I couldn’t be found without this fantastic tea thermos I got in Shanghai at the World Congress on Art Deco. It comes with a little strainer perfect for my cabinet of loose leaf tea. I left it behind once at my kids’ school, but quickly turned around and retrieved it before anyone knew otherwise. And I panicked once when I didn’t see it at a meeting. I excused myself to check to see that it was safe and secure in my car and that I hadn’t indeed left it on some counter or other before going into that meeting. Thankfully it was in the car. 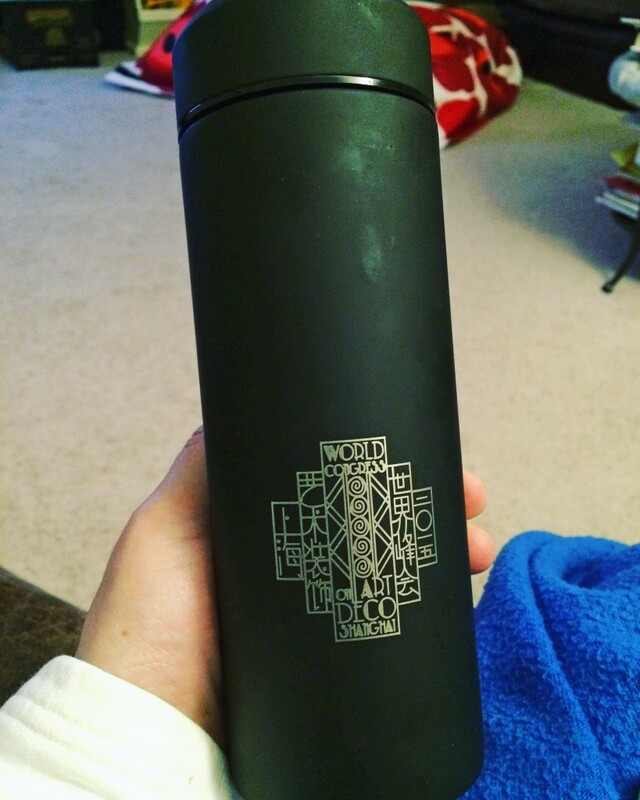 Unlike the umbrella I blogged about last week, this thermos was included in the gift bag at the World Congress.